Motorola's Droid has been by far the most popular Android smartphone to hit the US market, selling at a faster pace than the first generation iPhone, and making up, by some accounts, at least 15% of all Android phones in use. It was the first handset to launch with Android 2.0, a significantly redesigned version of Google's mobile operating system, and it was the first Android device on Verizon, making it a popular choice for the wireless provider's huge subscriber base. Though it remains a very strong consumer device, the Droid's popularity in the tech community was quickly overshadowed by Google's Nexus One, which was launched only three months after it. The Nexus One became Google's first attempt at directly selling smartphones, and the first handset with Android 2.1. Version 2.1 was only a minor platform upgrade, with no new features as substantial as those brought by 2.0, but it included full multi-touch support, tweaked the UI with eye-catching animated wallpapers, became an object of desire for Android enthusiasts. 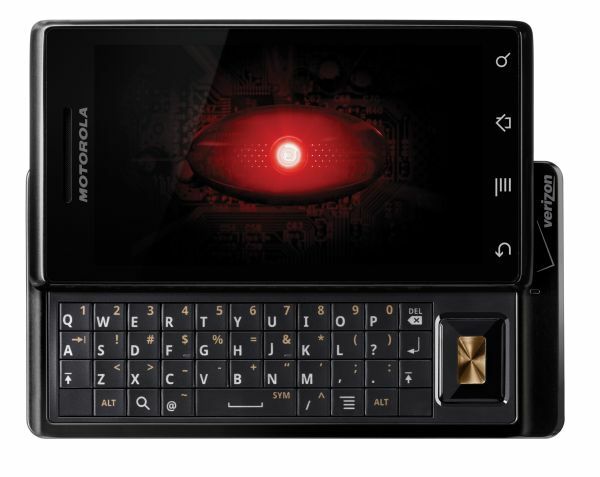 This week, just two months after 2.1 debuted in the Nexus One, Verizon will begin pushing it as an over-the-air update to the Motorola Droid. The foremost feature will be the addition of multitouch to the browser and photo gallery. The Droid supports multitouch, but only recently got pinch-to-zoom in Google Maps. It will also natively support voice-to-text entry, include a new 3D gallery application, a new weather and news app with a related widget, and the famous animated wallpapers. Android Central reports that Verizon approved the update today, and that it will roll out to 250,000 Droids at a time starting at 12:00 pm Thursday, March 18.